Blowout Sale! 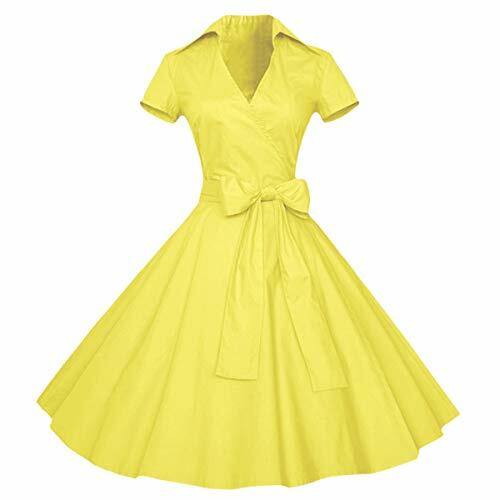 Save 57% on the Samtree Womens Polka Dot Dresses,50s Style Short Sleeves Rockabilly Vintage Dress(M(US 4-6),Yellow) by Samtree at Style Hoster. MPN: AM0373-10-M. Hurry! Limited time offer. Offer valid only while supplies last. 1950s Vintage Style Rockability Polka Dot Dress for women girls,make from stretch cotton blend,short sleeve with belt, good for daily wear or work.